Accommodation: In Leh: Deluxe Hotel on double shearing basis. While on trek, we will use dome/alpine tents, carry mattress, camping stool, kitchen tent, mountain climbing equipments etc. Meals: Leh: All meals will be provided. The meals will be a mix of Indian, Chinese & Continental. Mules/Porters: For carrying camping equipment, rations, vegetables and some amount of personal gear of the clients (one bag not weighing more than 15 kgs). Professional climbing guide & cook would accompany the group. 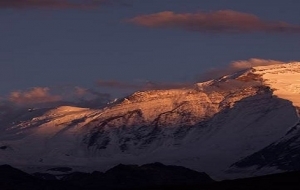 Indian Mountaineering Foundation Peak Climbing Fee. Any meals/services not mentioned above.Any costs arising out of unforeseen circumstances like landslides, road blocks, bad weather etc.